As keeper of our nation’s history, the National Archives holds more than 16 billion records, including our country’s most foundational documents: the Bill of Rights, Declaration of Independence, and the Constitution. The National Archives Foundation supplements the work of the Archives by encouraging a deeper connection to the American story through private support of programming, exhibits, and educational initiatives in Washington, DC, and across the country. The generosity of our Corporate Council is essential to the impact of these programs that reach millions of students, teachers, and families annually. In return for their meaningful contributions, the Foundation is pleased to offer exclusive benefits to those corporate members who join us in supporting the mission of the Archives. 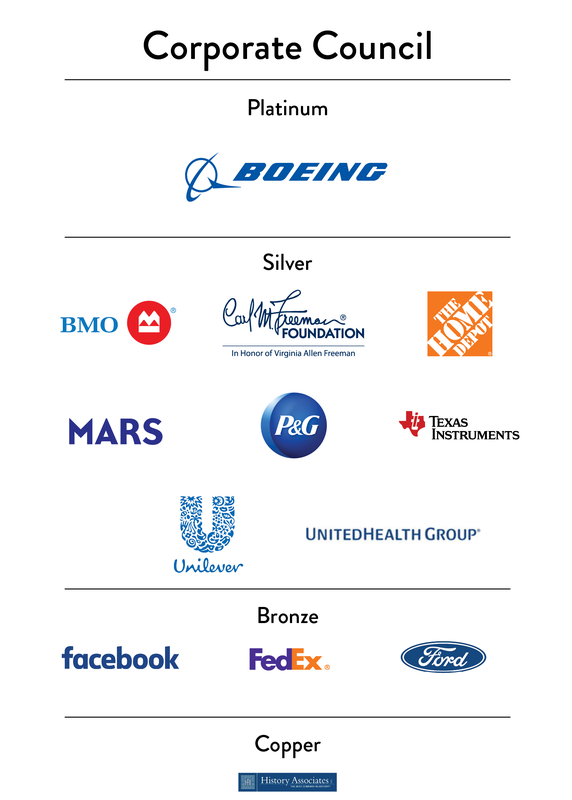 These unique benefits include invitations to high-profile receptions, the opportunity to host guests for a private tour, discounts on event rentals in our beautiful building, and public recognition as part of our impressive list of corporate supporters. 10% discount on memberships and online at NationalArchivesStore.org. All Corporate Council members enjoy their benefits for one year. For more information on joining the Corporate Council of the National Archives Foundation contact Rachel Colombana, Director of Corporate & Institutional Giving. Current as of February 12, 2019.